Cookability supply a range of quality unbranded products to cater for specialist applications. Many are sourced within the EU but not exclusively. 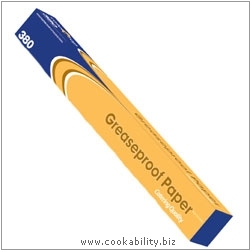 Catering box of greaseproof paper. Ideal for sandwiches, covering food and cooking. Conforms to EU regs.